Exercise is an important treatment for osteoporosis to maintain healthy bones. Activities that stress bones have been shown to have a positive effect in maintaining and increasing bone mass and preventing osteoporosis. Individuals who live a sedentary lifestyle have weaker bones and are subjected to a higher risk of sustaining pathologic fractures (A pathologic fracture occurs when a bone breaks in an area that is weakened by another disease process). 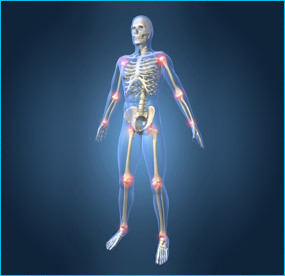 Causes of weakened bones include tumors, infections, and certain inherited bone disorders. While resistance forms of exercise (e.g. light weights) are excellent to stimulate bone production, even light stretching (e.g. jogging, walking) can help strengthen bones and prevent osteoporosis.